"My goal when I started was to write the very best wrestling novel that could be written." That's what drove Alfred Martino -- former high school and college wrestler, and now a volunteer prep coach -- to write Pinned, his first novel, published in 2005 by Harcourt. 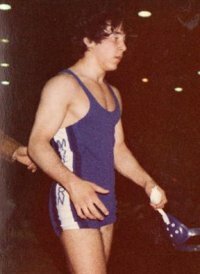 Martino, who wrestled at Milburn, a powerhouse prep program in New Jersey throughout the 1970s and early 80s, and at Duke University, says, "I wanted other wrestlers to pick up the book and see that the author had an intimate knowledge of the sport." "After my wrestling days were over, I thought of writing a book as a way to give back to the sport." "For a long time, I had the beginnings of a story. I decided to sit down and write a book," says Alfred Martino, who wasn't satisfied with the high school wrestling novels he had read. "I read Vision Quest and Wrestling Sturbridge. Both bring in elements that wrestling doesn't need. For people who don't know amateur wrestling, some books reinforce notions." "My goal was to write an honest portrayal of the sport, to emphasize the solitary idea of being a wrestler," Martino continues. "It's very difficult to explain issues like losing weight, the scoring system, or even describing wrestling moves in a clear, accurate way. I spent a lot of time getting it right." For Alfred Martino, 'getting it right' took time and tenacity. "Writing the book was like starting wrestling," says the author of Pinned. "You get kicked around. You're not particularly good at first. But, with time and practice, you improve." Martino, who runs Listen & Live Audio, an audio publishing business based in New Jersey, says, "I do business writing -- business letters, sell copy for the back of products. Writing is writing -- you're trying to get across an idea." That said, Martino is honest in describing the challenges of writing a first novel. "I started writing in 1994," according to Martino, who, at the time, lived in California and wrote for local newspapers. Among his assignments -- covering high school wrestling. "I didn't get an agent until 2000. We didn't generate publisher interest until 2003." "My agent sent the book to dozens and dozens of publishers. It was rejected by all but two." "My editor (at Harcourt) really stuck with me," Martino continues. "She took it to the acquisitions committee more than once. On April 15, 2004 -- I remember that date clearly -- the acquisitions committee said yes." Having a publishing deal didn't mean Pinned was ready to roll off the presses. "The publisher recommended that the book incorporate adolescent issues beyond wrestling," says the first-time novelist. "It has to cover other teen issues -- relationships with girlfriends, coaches, parents." "The publisher is selling their books to public and school libraries," continues Martino. "They want the book to appeal to those who acquire titles for libraries … The book must have a universality to it that appeals to all teens. All kids go through typical problems and challenges, whether you're a wrestler or not." "The comments from women librarians have been very interesting. From reading the book, they point out that wrestlers are always stepping on the scale." "Lots of teens, especially girls, but nowadays, boys, too, have dieting and weight issues. Issues like bulimia and body-image concerns that go beyond wrestling." Like a wrestler discussing his workout routine, Martino cites some of the elements that helped make him a better writer and that were critical to making Pinned a reality. "Being in a writing group was like having three or four coaches to help guide you," says the New Jersey native. "The other writers in my group were middle-age women who were very nurturing, very supportive. I loved the process." "Writing for newspapers was also a tremendous help. You quickly learn that your writing has to be clear, concise, to the point. You also have deadline pressure, and editing yourself, too. All great experience for writing a novel." But Alfred Martino isn't resting on his laurels. "Once you've written the novel, your work isn't over. Contacting libraries, making appearances, promoting the book with postcards and on wrestling forums." 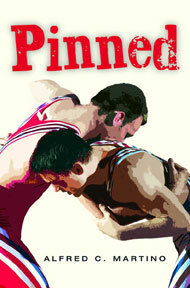 Pinned tells the story of two high school wrestlers, Ivan Korske and Bobby Zane, who, as described on the text on the inside front cover flap, "couldn't be more different -- they come from different backgrounds, they have different lifestyles, and they each have very different ways of looking at the world." "I came up with two boys who would not normally know each other, but would meet in wrestling," according to Martino. "Ivan is from a poorer town. His mother died the year before. His father is emotionally stunted. Winning a state title is a way for him to get away from his dad, and New Jersey." "Bobby is from a wealthier town. His parents are going through the beginning stages of divorce. He has a girlfriend who may be pregnant." "Things are jumbled up for both of them," the author continues. "Wrestling is the one thing that each of them had control over, something to hold onto while everything else is spinning out of control." The novel is set in the world of New Jersey high school wrestling, a world that Alfred Martino inhabited as a grappler, and now as a volunteer coach at his prep alma mater, Milburn High. In fact, one of his characters, Bobby Zane, wrestles for Milburn. "I had to write at least half of the book about a place I know. I wanted to pay tribute to my program, and pay homage to New Jersey wrestling." "Bobby is a made-up character but some actual Milburn wrestlers of the past are included in the telling of his story," says Martino. "Everything to do with Ivan is made up. It was fun to create a town, and the psychology behind it." "I incorporated real towns to make the story feel even more authentic." His heart pounding, Bobby Zane stood. The thirty-second rest between round-robin shots was hardly enough time to sit down and get up again, let alone catch his breath. But Bobby understood no amount of weightlifting or miles of running would have prepared him enough for the first practice of the season. He slipped the plastic headgear over his head, shifting the halo and ear pieces into place, then snapped the chin strap secure. Sweat ran down his cheeks. A drenched long-sleeved shirt clung to his body like a second skin. "Time!" Coach Dean Messina's voice boomed from the front of the Millburn High practice room. "Look up front!" Bobby and his teammates turned toward their coach, the most celebrated wrestler in school history, a two-time New Jersey state champion whose wrestling legend crossed county lines as far north as Sussex and as far south as Cape May. "You guys are not executing on your feet," Coach Messina said. He cleared space on the mat. "There are four parts to a single-leg. Stance. Set up. Drop step. Finish." Coach Messina recoiled in a powerful stance, then lunged forward with his left leg, down to his left knee for a split second, sweeping his right leg under his body and forward along the mat. In an instant, he was back on his feet with the lower leg of an imaginary opponent secure, in a perfect position to finish off the two-point takedown. "Any questions?" There were none. Or perhaps, Bobby thought, no one dared ask. Pinned is a powerful first effort from Alfred Martino that takes you inside the lives of two high school wrestlers, providing a realistic, inside look at life in high school that goes beyond the wrestling mat to make it a compelling read for boys and girls… and their parents, too. 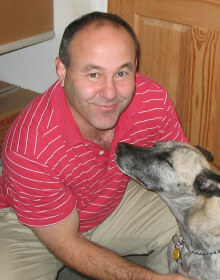 To learn more about Pinned, visit the official Web site www.alfredmartino.com, which includes a segment of the book to read online, along with reviews. The book may be purchased at www.amazon.com; signed copies can be purchased directly from the author at Alfred@ListenandLive.com.